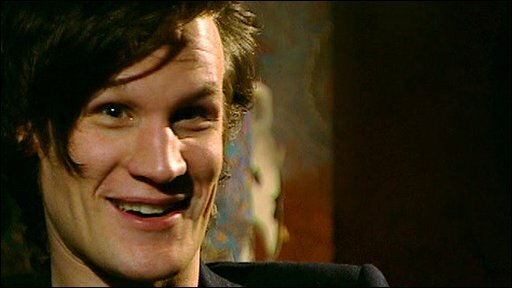 BBC NEWS | Entertainment | Who on earth is Matt Smith? 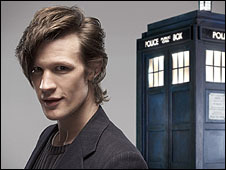 Matt Smith has been named as the actor who will take on the role of TV's most famous time traveller. He may be the youngest actor to play the Doctor, but Smith has already built up an impressive CV on stage and the small screen. His biggest television role has been in BBC Two's political drama Party Animals (2007) in which he played parliamentary researcher Danny Foster. He has also acted opposite Doctor Who star Billie Piper three times. Smith's TV debut was in the 2006 adaptation of Philip Pullman's The Ruby in the Smoke, which starred Piper as Sally Lockhart. He later reprised his role as Jim Taylor - the dogsbody at the Lockhart and Selby shipping firm - in The Shadow in the North (2007). The actor's stage work has included stints with theatre companies such as London's Royal Court and National Theatre. Smith was born in Northampton on 28 October, 1982. His career path could have been very different had a back injury not prevented him pursuing a career in football. He played for the Leicester City and Nottingham Forest youth academies, but was steered towards drama when a teacher at Northampton School for Boys encouraged him to take the subject at A Level. He left Northampton aged 18 to study drama and creative writing at University of East Anglia in Norwich. His work with the National Youth Theatre got him both an agent and his first professional job before graduation. Smith appeared in Fresh Kills at the Royal Court in 2004, and then joined the cast of On the Shore of the Wide World which transferred to the National Theatre. It was here that he took over the role of Lockwood in Alan Bennett's The History Boys. His West End debut was in Swimming With Sharks opposite Christian Slater in 2007. In 2008 he played opposite Lindsay Duncan in That Face to critical acclaim at London's Duke of York's Theatre. He is now following in the footsteps of one of the most popular actors ever to play the Doctor. David Tennant has said Smith's "life is about to change in so many ways". One of these will be getting used to the intense media and fan interest that comes with such a role.